Provide comfort for the family of Joan Morrison with a meaningful gesture of sympathy. Joan Morrison (King), 81, left her broken vessel on February 24, 2019, to join her father, mother, sister, and brother. Joan was born in Everett, MA, just north of Boston, in September 20, 1937, to Abner and Myrtle King. She attended Everett High School and then, shortly after she graduated, she met the love of her life, William “Bill” Morrison, while he was stationed in Bedford, MA. They hit it off from the beginning. If you do not believe in love at first sight, there's 61 years of proof for you. She had succumbed to severe memory loss these past few years, struggling to retain in her mind those who remained close to her, by sometimes asking their names and then repeating back to herself to help her remember. Joan had 27 years in banking, and throughout her career, she not only knew her customers, but could tell you multiple relations to each one and most times knew all of their children and siblings by name. She was truly an amazing people person, and this may have been how she managed to retire out of the administration office, leaving many friends who stayed in contact well after she left. Joan is survived by her husband, William “Bill” Morrison; sons: Mark Morrison and Scott (Melody) Morrison; six grandchildren: Nathan Morrison, Danielle Morrison, Connor Warman, Jonathan Morrison, Nick Morrison, Eryn Warman; and one great-grandchild, Easton Warman. Joan was a wife, mom, and grandmother to us and she will be missed dearly. Love you, mom. A Celebration of Life will be held for Joan on Sunday, March 24, 2019, from 1:00-4:00 p.m., at the Henry Building's A Gathering Place, 120 Cottage Ave., Cashmere, WA. You are i n v i t e d t o v i e w J o a n ’ s o n l i n e t r i b u t e a t www.Heritagememorialchapel.com to leave a condolence or share a memory. Arrangements are in the care of Heritage Memorial Chapel, East Wenatchee and Cashmere, WA. To send flowers in memory of Joan Marie Morrison, please visit our Heartfelt Sympathies Store. 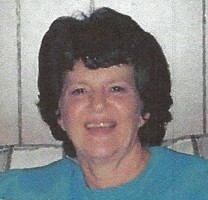 Provide comfort for the family of Joan Marie Morrison by sending flowers. Bill, Mark, Scott and families, Thinking of you and all the loving memories of Joan, your Mother and Grandmother, you must have. She talked about all of you often and loved you very much. Joan was a very special person and friend. I enjoyed working and lunching with her. We enjoyed each other’s company and laughed a lot. I have thought of her often. RIP My Friend!